TriMech is fortunate to work with clients from Maine to Florida and out to Arkansas, offering a range of engineering solutions. 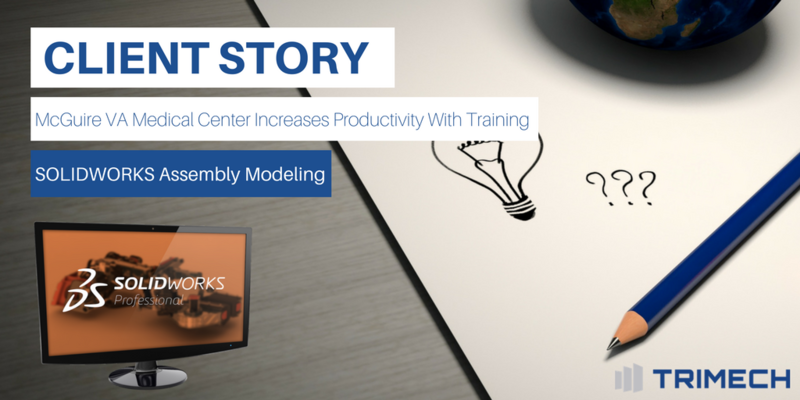 This week's client story showcases McGuire VA Medical Center and SOLIDWORKS Assembly Modeling Training. Since 1946, the Richmond Veterans Association Medical Center has been helping the brave men and women who have proudly served our country, improve their health. They have services available to more than 200,000 veterans, who come from all over the nation. Our client, McGuire VA Medical Center, specifically in the post-injury rehabilitation space, specializes in custom design mobility and prosthetic equipment for veterans after they have returned home from duty. They design a variety of apparatuses ranging from custom grips and mechanisms for wheelchairs, to full prosthetics. 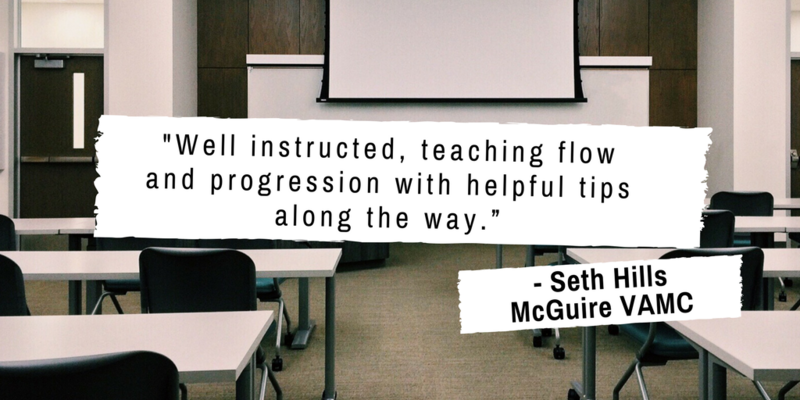 Through their use of SOLIDWORKS training, McGuire VA Medical Center is able to improve designs and leverage advanced techniques to increase productivity and save time. By taking advantage of advanced modeling techniques such as in-context assembly design, top-down design or virtual parts, and properly managing external references, they can leverage configurations and automate their medical designs. Advanced mating techniques such as path, limit, width or even the new profile center mate will reduce modeling time. Mechanical mates will give the assemblies realistic motion and set the stage for additional motion studies and analysis. Building assemblies in SOLIDWORKS can seem like a daunting task. Our SOLIDWORKS Essentials course introduces you to the basics of assembly modeling. Building complex assemblies or replicating lifelike or mechanical motion can be a little bit more involved. Our SOLIDWORKS Assembly Modeling course can help you effectively and efficiently build and animate virtual prototypes. In addition to advanced design techniques, we also cover how to troubleshoot assemblies and discuss different mate and reference issues, so that any problems with the design can be fixed easily. This allows the designers to focus on what truly matters, the design. Interested in advancing your 3D CAD techniques through training? Sign in up for a SOLIDWORKS course near you!